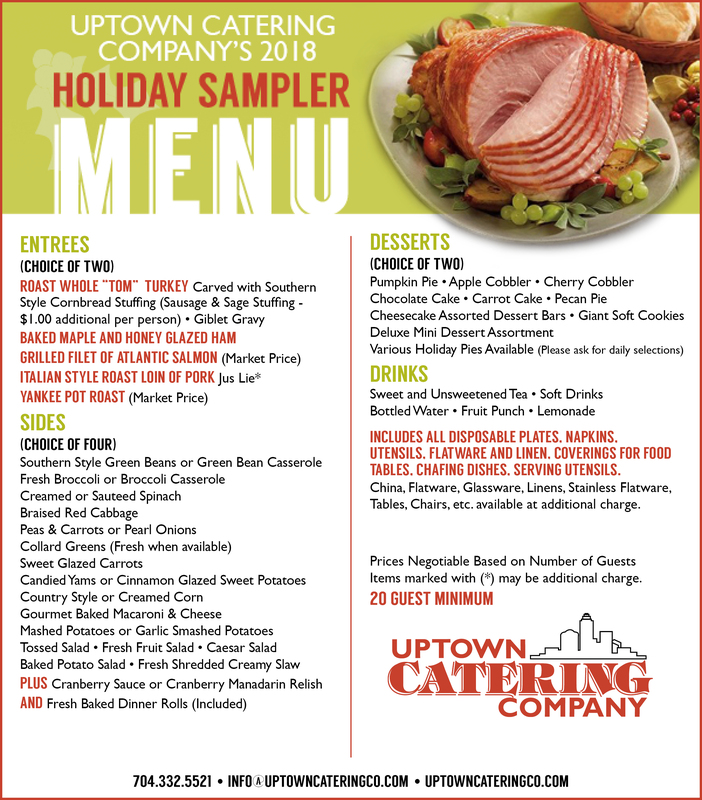 Let us cater your next holiday party. A wide menu of traditional fare available. From simple continental breakfasts and boxed lunches to the finest “White Glove” Receptions, Uptown Catering Company provides a varied range of levels of service. We pride ourselves in the diversity and style of our cuisine. We prepare various cuisines from all regions of the world, with menus tailored to your tastes and vision of your event. Some of our most popular menus include Modern American, Latin, Classic French and Italian, Asian, including Sushi, as well as Mediterranean. Our food is always freshly prepared, never sacrificing quality or taste.